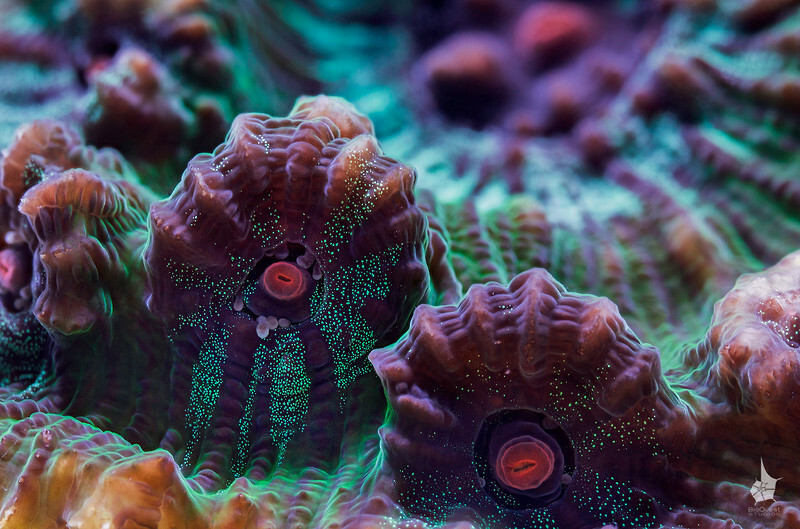 Chalice coral (Pectiniidae). In focus are the polyps on the periphery. In the background the center of the colony is visible.